Hello there. As you know if you’ve been following along here lately, I’ve recently returned from a trip to DC where we visited my son and 2 grandchildren. 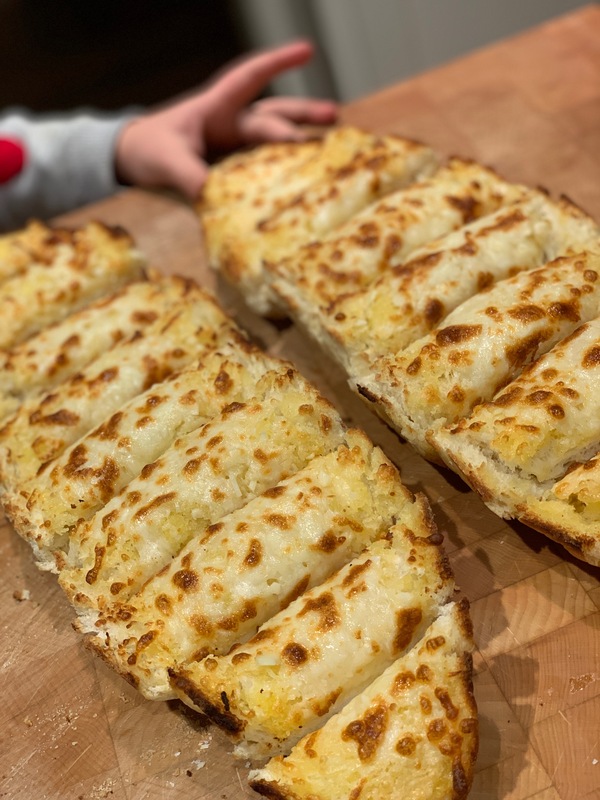 Life goes on during our visits, my son goes to work, the kids go to school, so I often stay home and prepare dinner to enjoy as a family when everyone returns home. My son has a lovely, bright kitchen that is enjoyable to work in. And since he likes to cook as much as I do, he has all the right equipment. 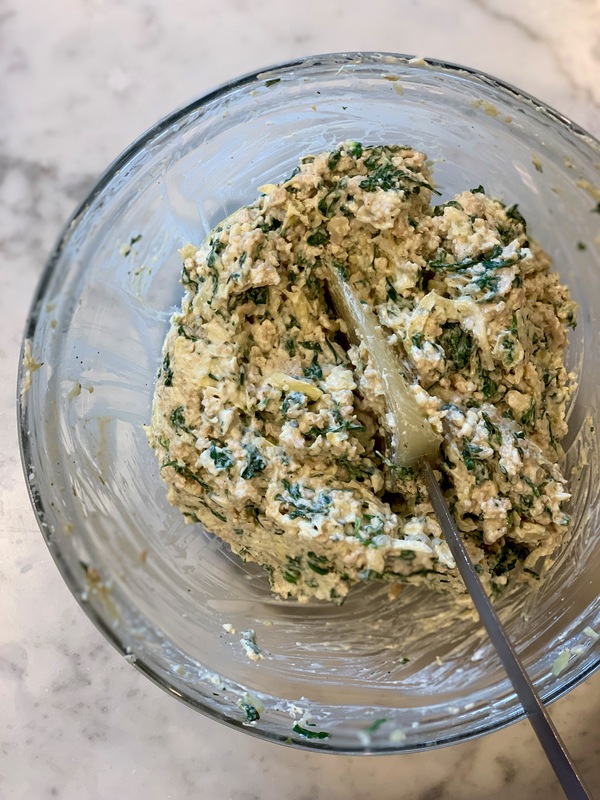 So on this trip to DC I decided to make a recipe that I’ve recently perfected after enjoying a similar version prepared by my friend Brenda. 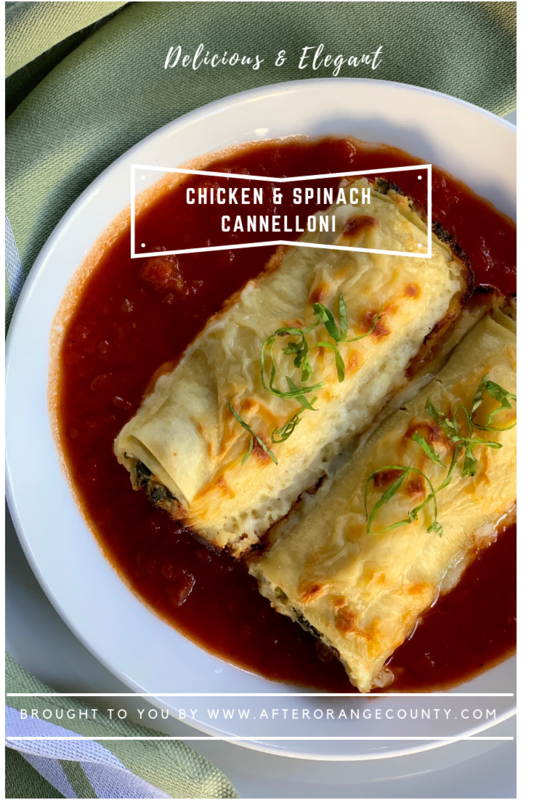 It’s a very yummy Chicken and Spinach Cannelloni recipe. 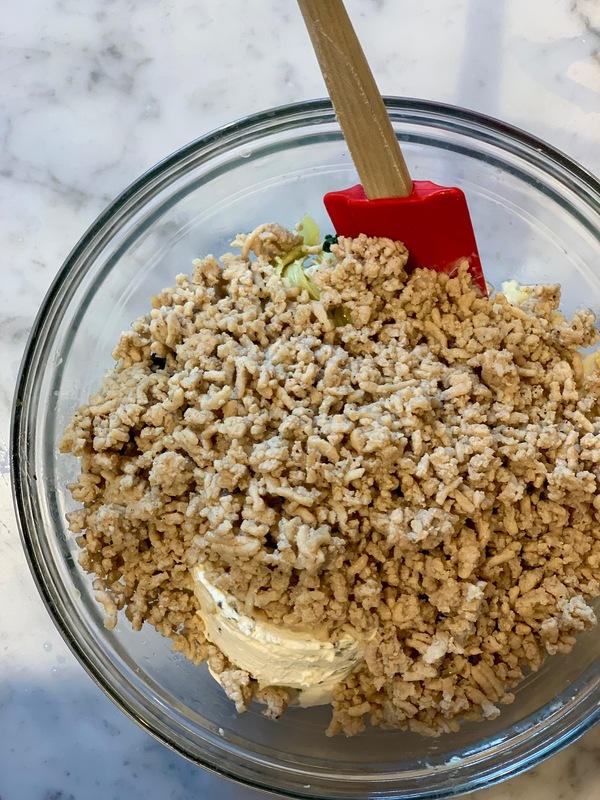 You may wish to assemble this dish ahead of time so about 15 minutes before you plan to start the baking process, preheat your oven to 375°F. Spray an 13″ x 9″ baking dish with cooking spray and set it aside. 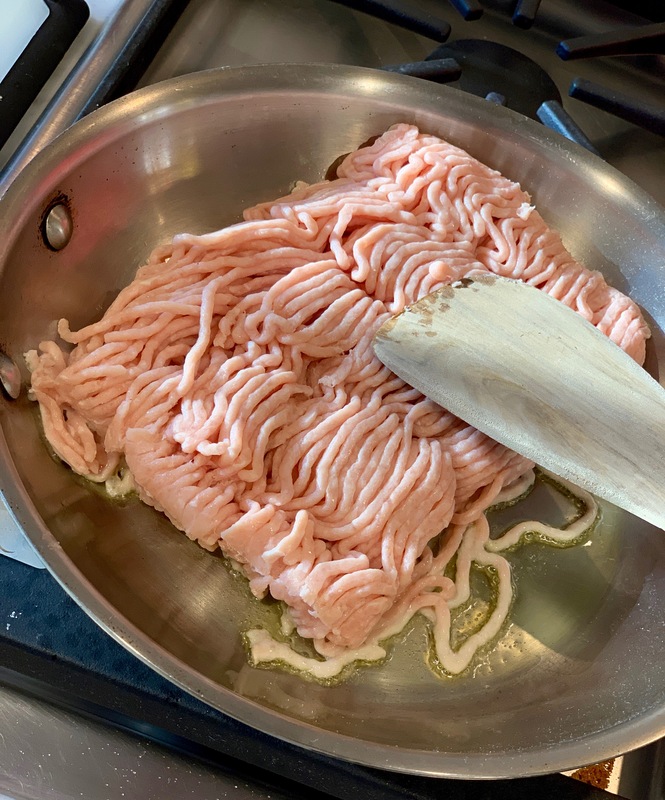 Fill a shallow dish with hot tap water and soak the noodles until they are pliable. Transfer the noodles to paper towels and pat them dry. 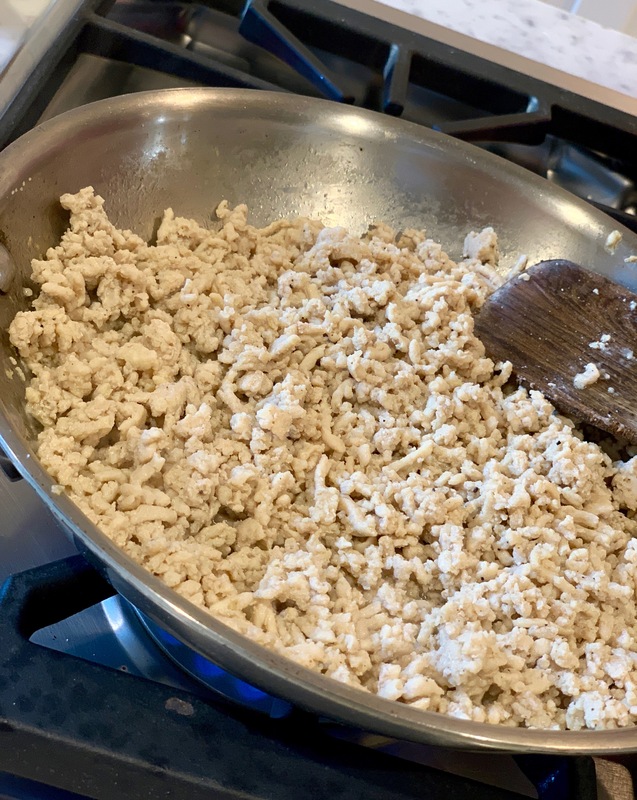 Heat the olive oil in a frying pan and add the ground chicken. Throughly cook over medium heat, breaking the meat into small bits using a wooden spatula. Add salt & pepper to taste. Set aside to cool. 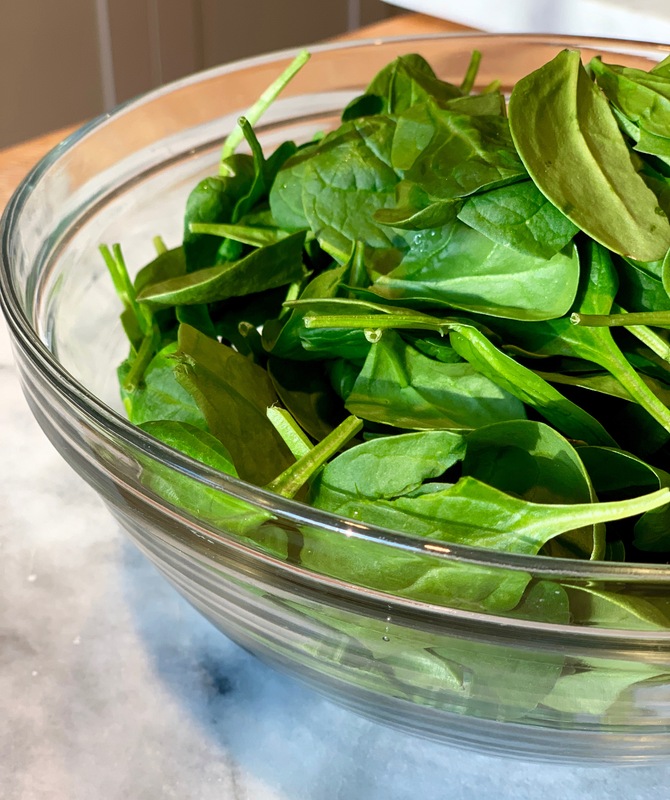 Place the fresh spinach in a microwave safe bowl. Add 1/4 cup water and microwave on high for 2 minutes or until wilted. 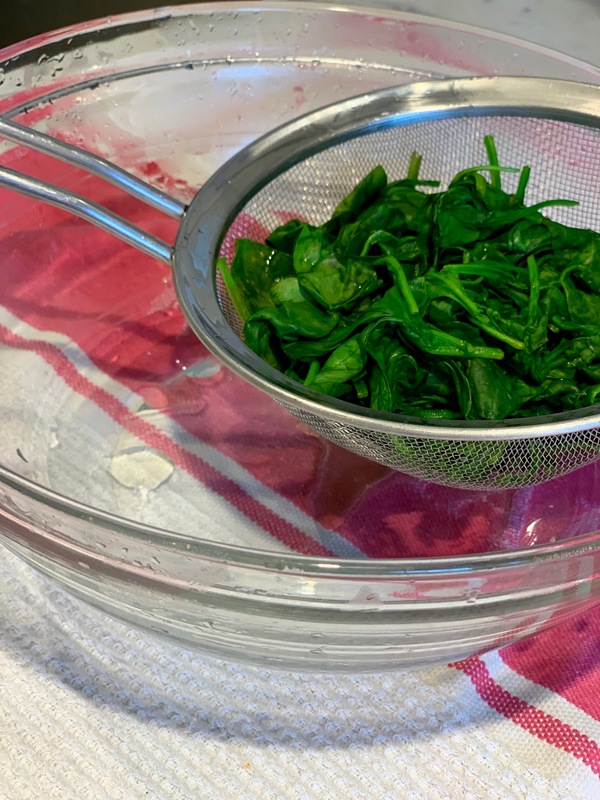 Drain and cool the spinach, thoroughly squeeze out all the excess water. 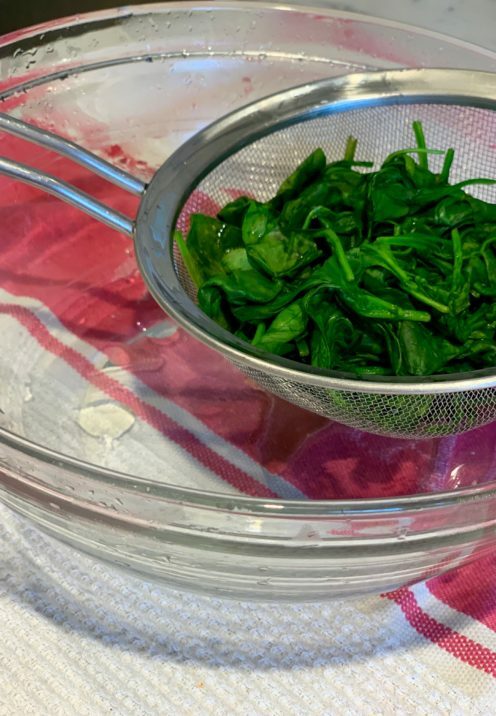 It is amazing how you start with what looks like a whole bunch of spinach and it diminishes down into a small little ball. 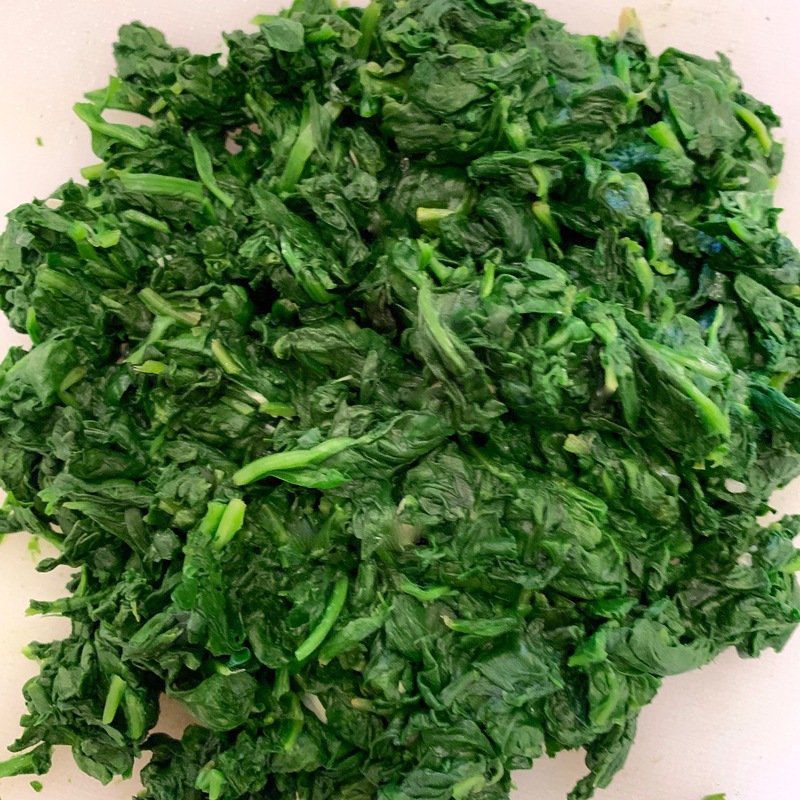 Next rough chop the spinach. 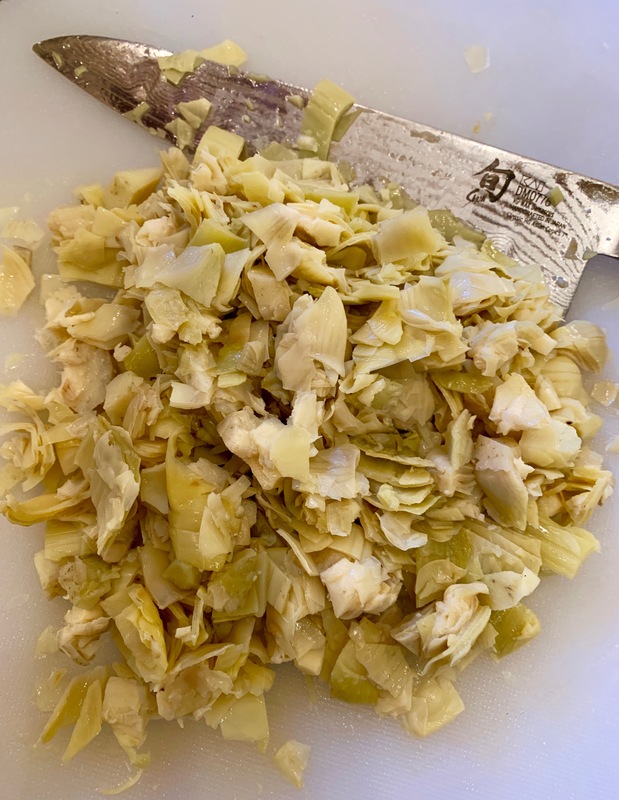 Thoroughly drain the artichokes and chop them up as well, and mince the garlic. 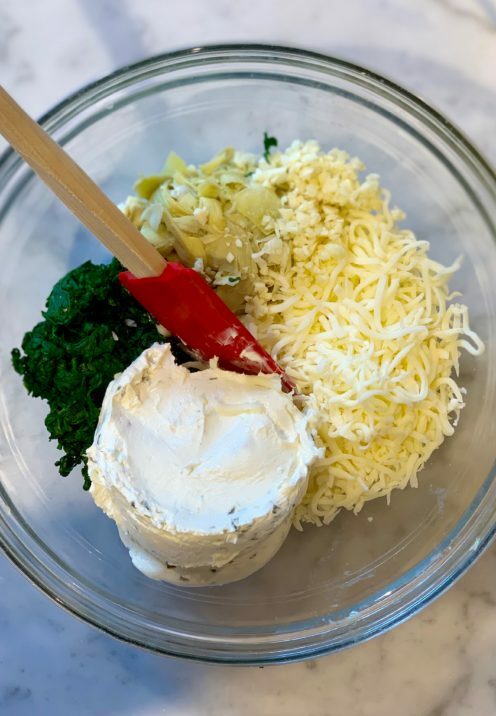 Into a medium size mixing bowl add the minced garlic, chopped artichoke hearts, chopped spinach, cream cheese and mozzarella cheese. 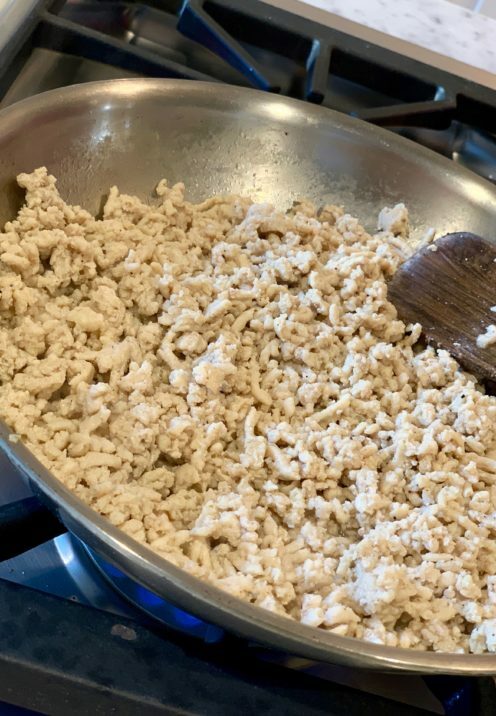 Finally add the cooled, cooked ground chicken. Before we get started I have a disclaimer to make. 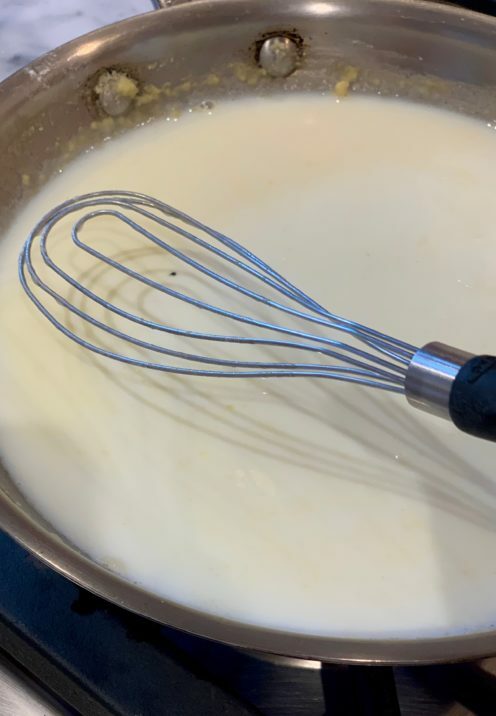 A true Béchamel Sauce has nutmeg in it, however, I do not think this is a pleasant additive and always leave it out, as I have done here. If you’re a purist be my guest and add a pinch of ground nutmeg to this sauce. 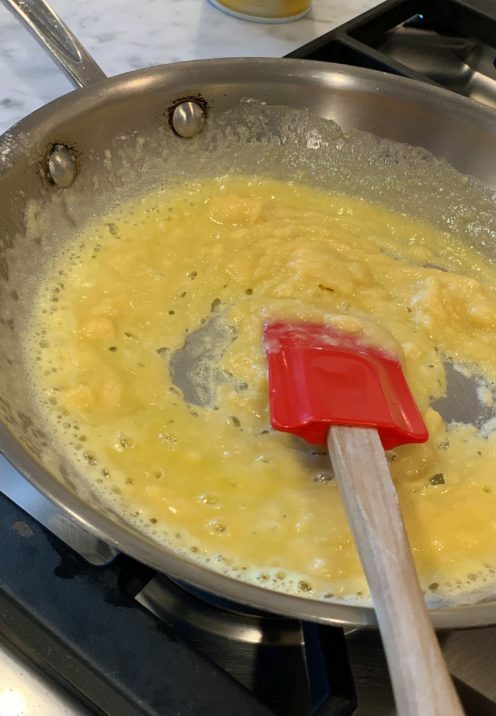 Melt the butter in a medium size frying pan. Add the flour and stir constantly for 2 minute to cook the flour and remove the raw taste. 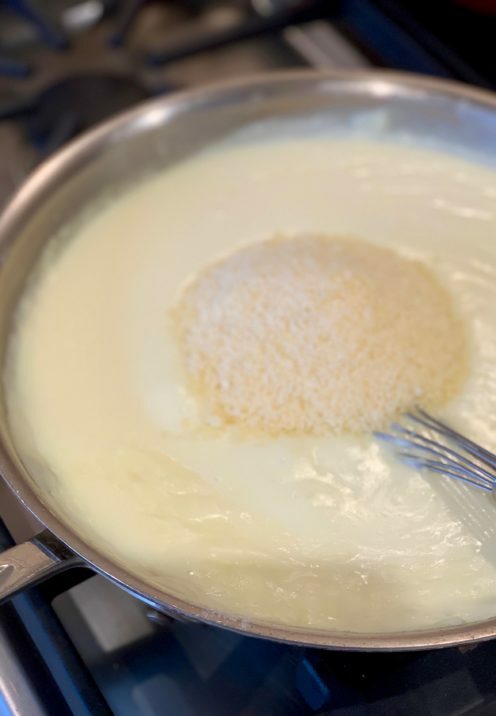 Slowly add the milk and whisk constantly until you achieve a boil. Reduce the heat to low and simmer and whisk until the sauce thickens. 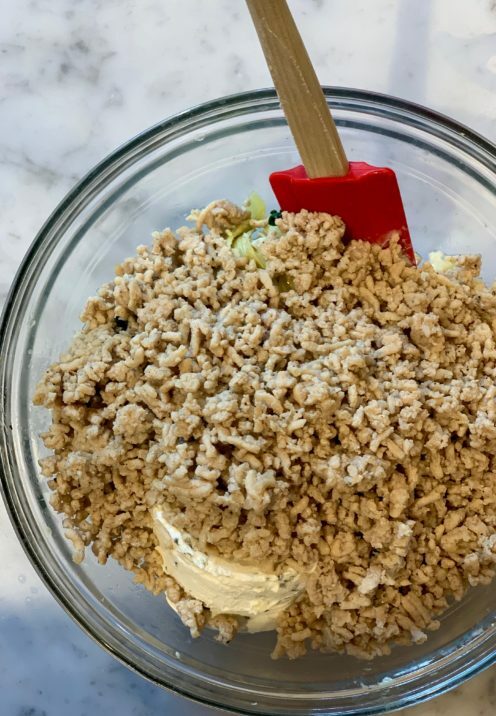 I use a flat whisk for this purpose, one of my all-time favorite cooking utensils, and one I can’t live without. In fact, I gave this flat whisk as a gift to my son. 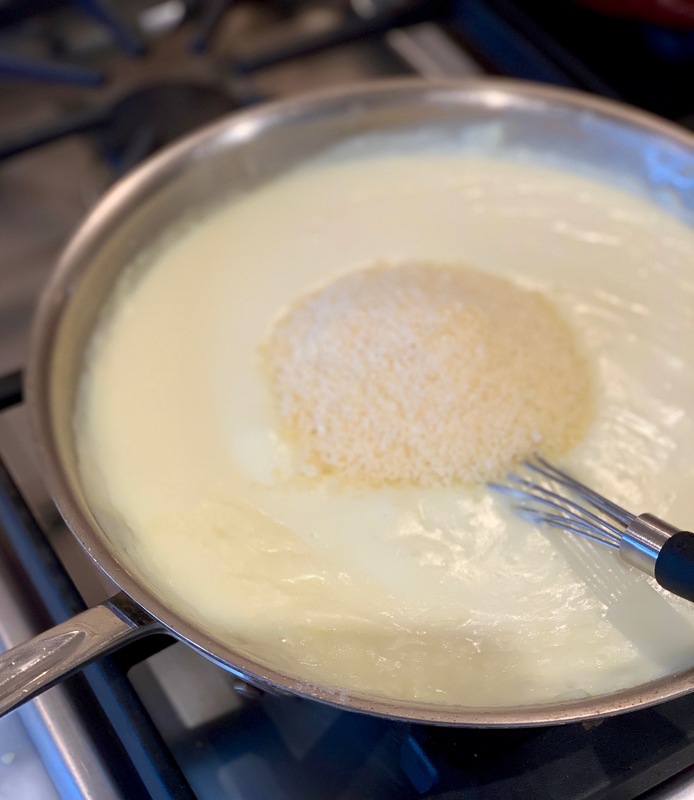 Once your Béchamel Sauce has thickened add the parmesan cheese, stir to combine and remove from the heat. 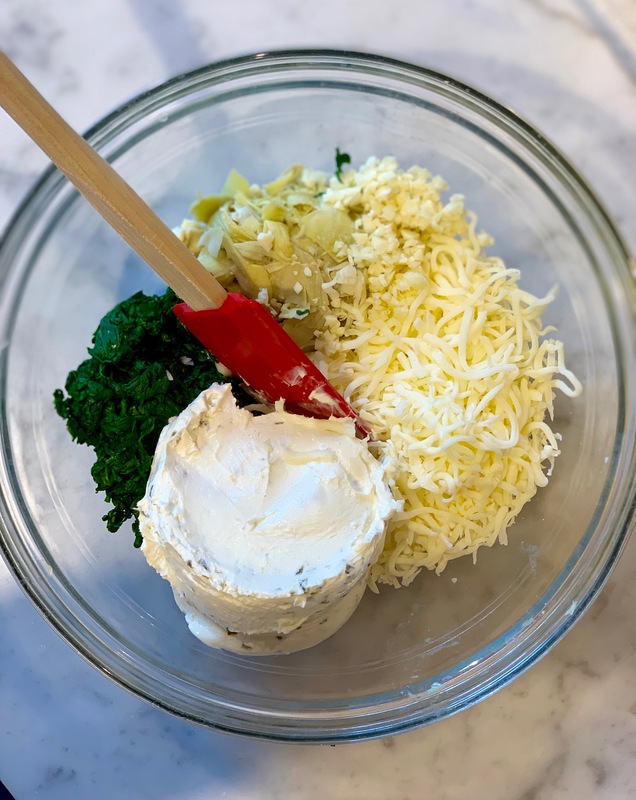 Pour about half of the sauce into your prepared baking dish. 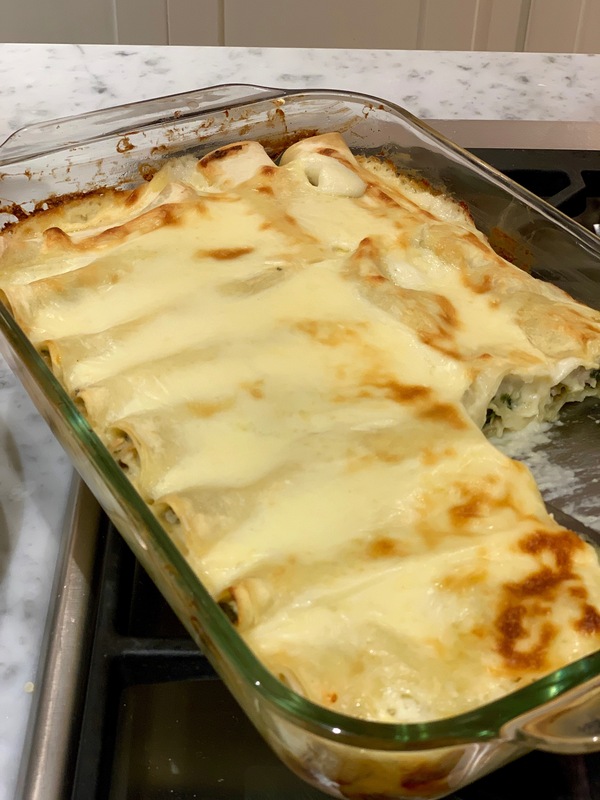 This recipe will make about 15 Cannelloni, so take about 1/15th of the filling (about 1/4 C.) and place it on the short side of a lasagne noodle. 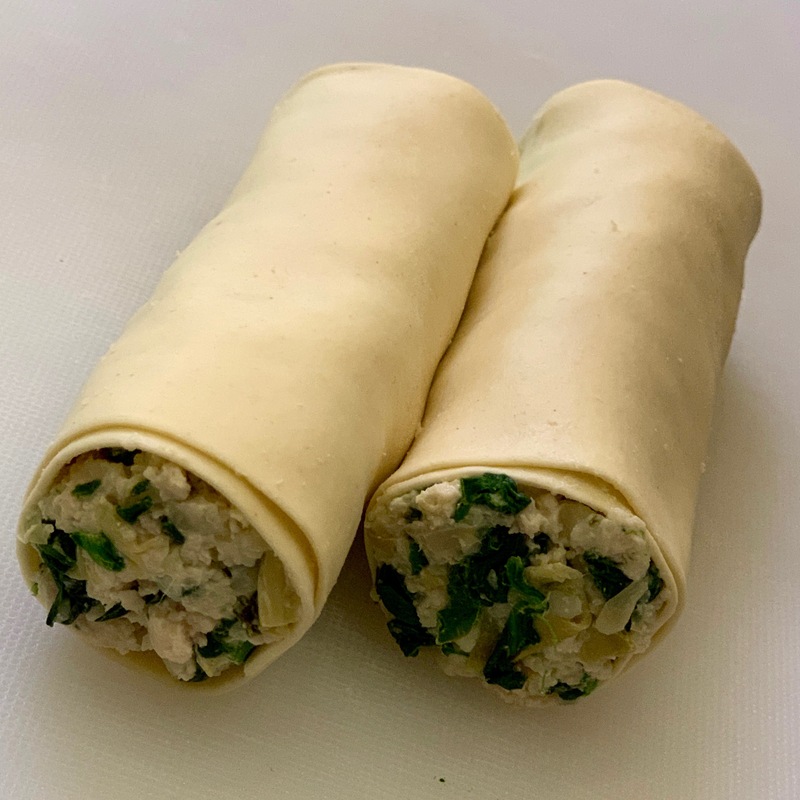 Roll the noodle up and repeat until you have used all of the filling. 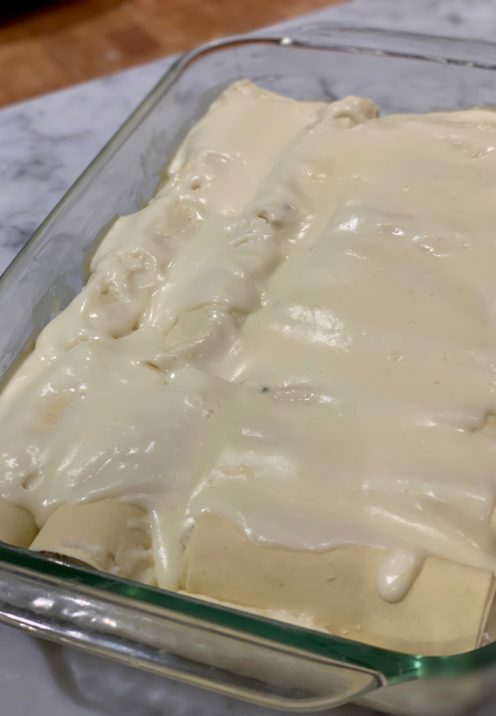 Arrange the cannelloni in rows in the baking dish and cover with the remaining Béchamel Sauce. Bake in oven preheated to 375°F for about 30 minutes or until the top is browned and the sauce is bubbling hot. Now I have a confession to make. 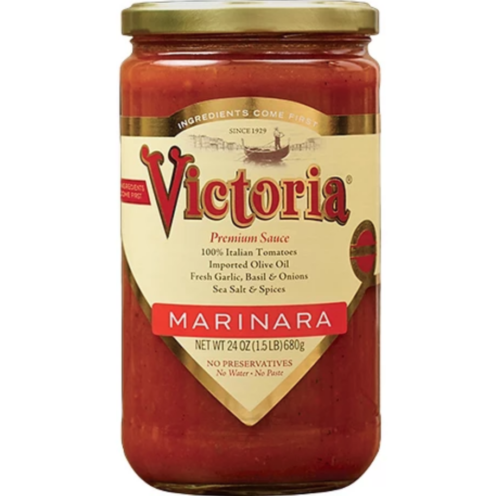 Ever since I discovered Victoria Brand Marinara Sauce I have completely stopped making my own sauce. 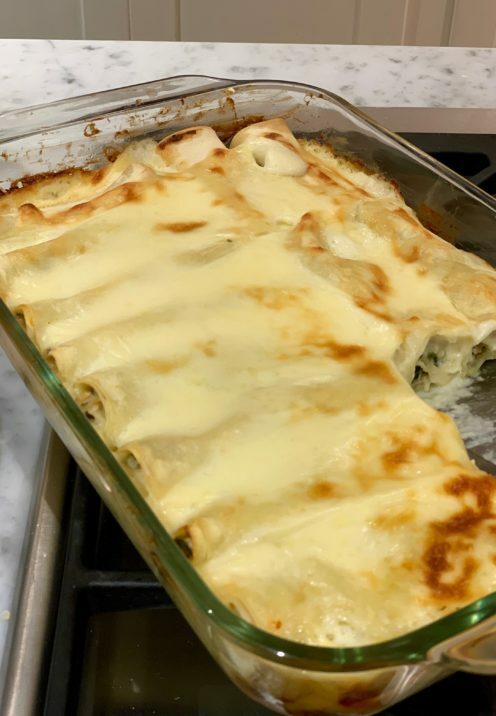 That’s because this sauce is WAY better than I can make myself, so there is no sense in even trying to improve upon this. It is SO GOOD I feel like I’m eating sauce in Italy. Heat the ready-to-serve Victoria Marinara Sauce in a saucepan. Spoon the warm sauce into pasta bowls. 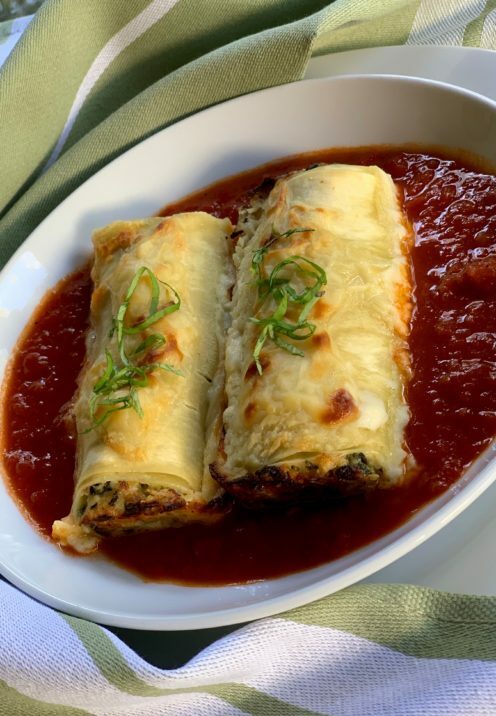 Place an individual serving of Chicken and Spinach Cannelloni on top of the sauce. Garnish with fresh basil. 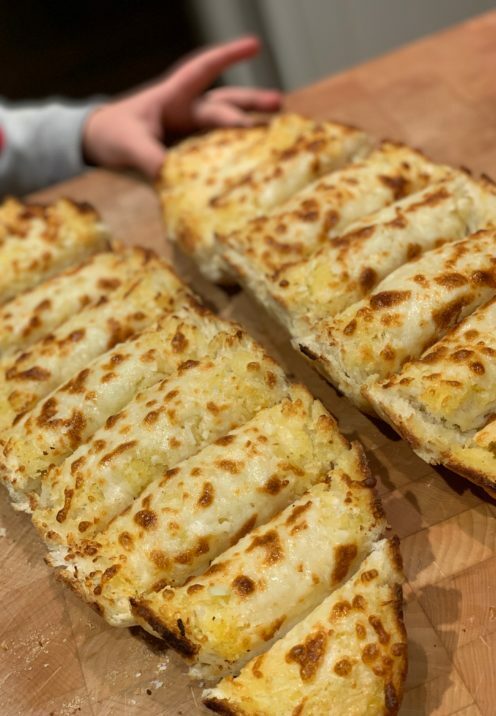 Serve with toasted garlic bread and a fresh green salad and you’ll have a wonderful and delicious meal to serve your family. 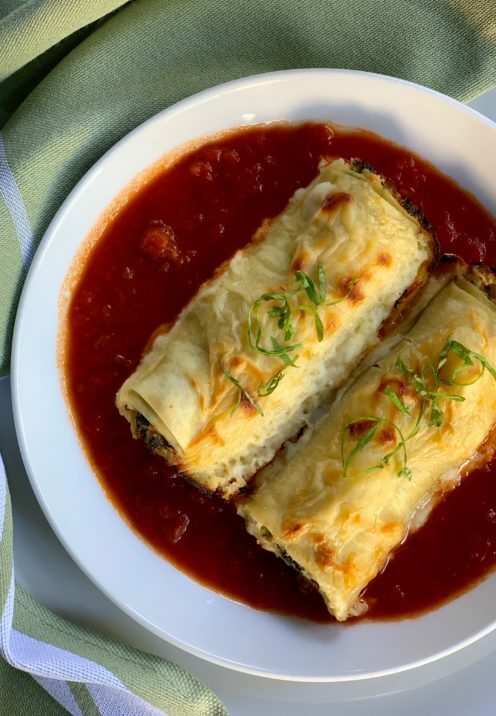 Here's an easy way to make Cannelloni using no boil lasagne noodles. The results are delicious and elegant! 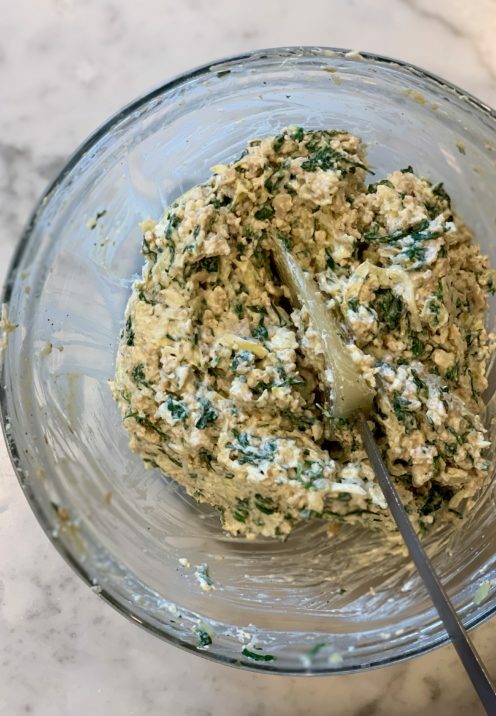 This is a favorite of my husband's and it's impressive enough to serve as an entree for an elegant dinner party. Spray an 13" x 9" baking dish with cooking spray and set aside. 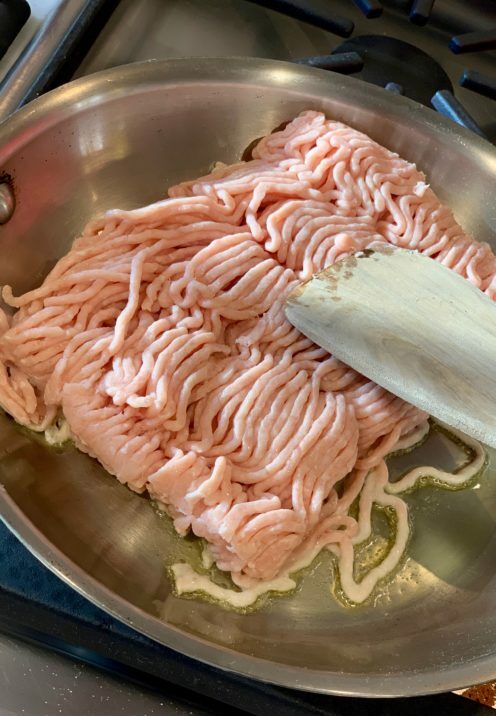 Fill a shallow dish with hot tap water and soak noodles until pliable. Transfer noodles to paper towels and pat dry. Throughly cook over medium heat, breaking meat into small bits using a wooden spatula. 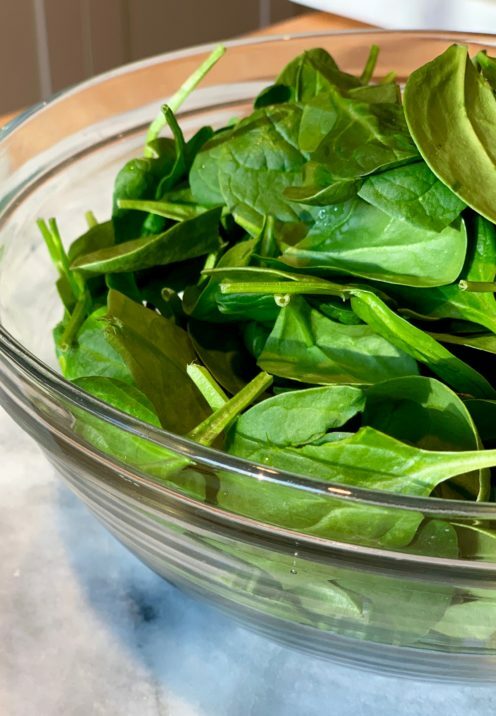 Place spinach in a microwave safe bowl. Add ¼ cup water and microwave on high for 2 minutes or until wilted. 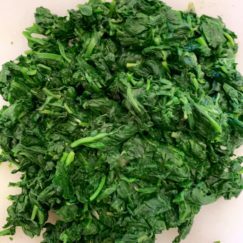 Drain and cool the spinach, thoroughly squeeze out all the excess water, then coarsely chop it up. 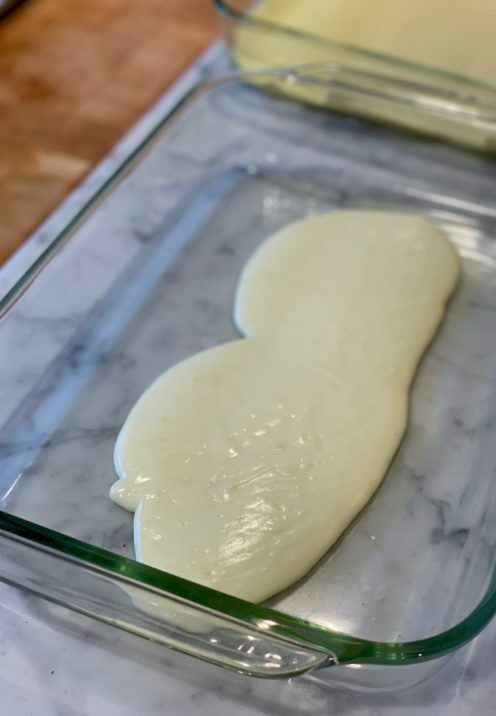 Melt butter in a medium size frying pan. Add flour and stir constantly for 2 minute to cook the flour and remove the raw taste. Slowly add milk and whisk constantly until you achieve a boil. Reduce heat to low and simmer, whisking, until the sauce thickens. Add parmesan cheese, stir to combine and remove from the heat. Pour about half of the sauce into prepared baking dish. Take about 1/15th of the filling (about ¼ C.) and place it on the short side of a lasagne noodle. Roll the noodle up and repeat until you have used all of the filling. 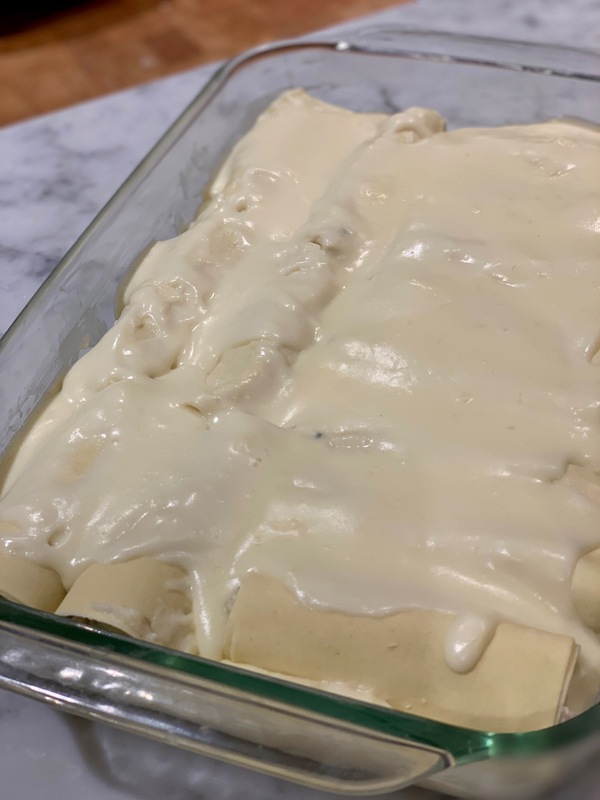 Arrange cannelloni in rows in the baking dish and cover with remaining Béchamel Sauce. 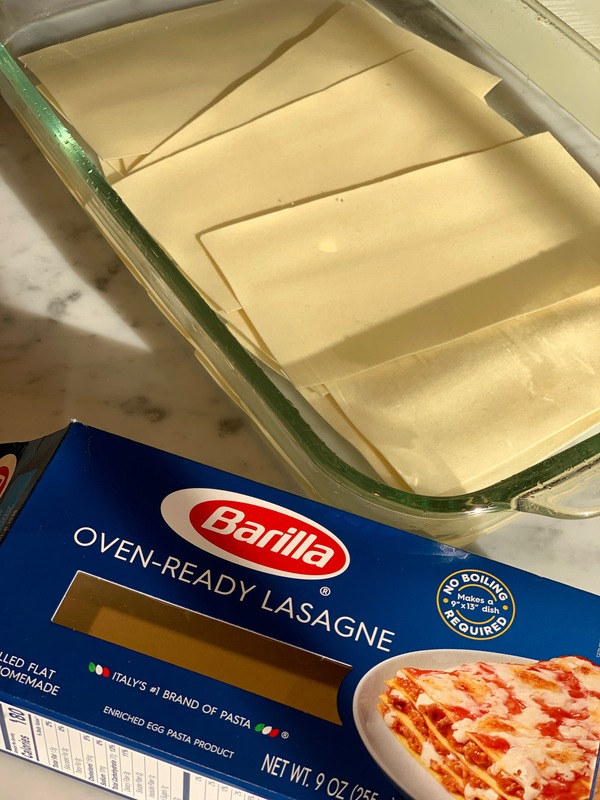 Bake in oven preheated to 375°F for about 30 minutes or until top is browned and sauce is bubbling hot. Heat the ready-to-serve Victoria Marinara Sauce in a saucepan. 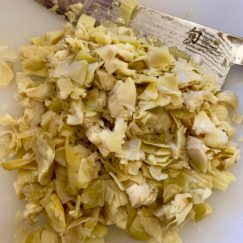 Spoon warm sauce into pasta bowls. 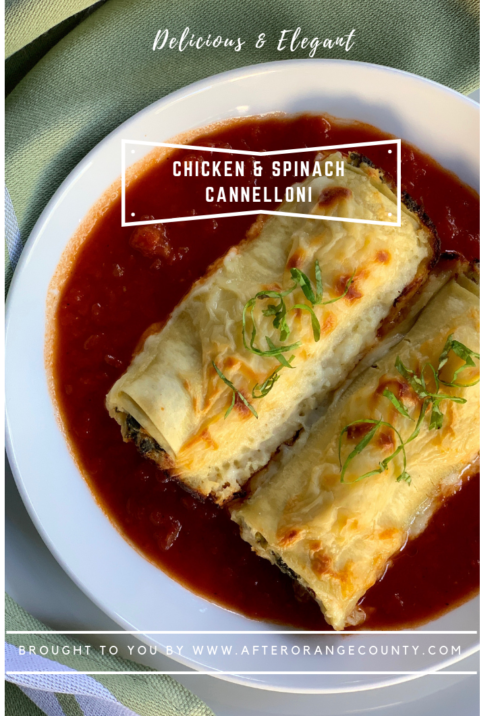 Place an individual serving of Chicken and Spinach Cannelloni on top of the sauce. 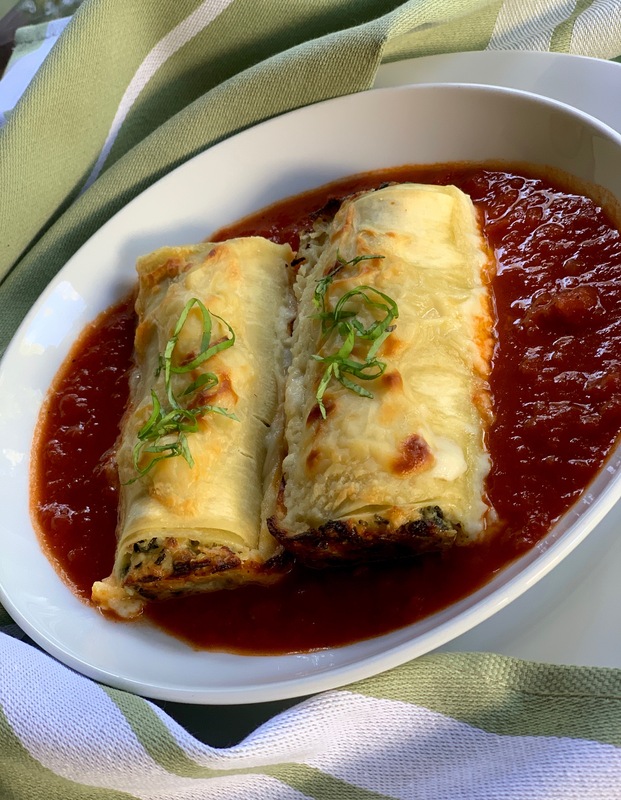 Serve with toasted garlic bread and a fresh green salad and you'll have a wonderful and delicious meal.